Thread: [Event] An event you don't want to miss! Come and be part of the Update Event! [EVENT.1] Limited-Time Only! Daily Dungeon Upgrade Stones Double Event! - The amount of Upgrade Stones available from Daily Dungeon will be doubled during the event period. 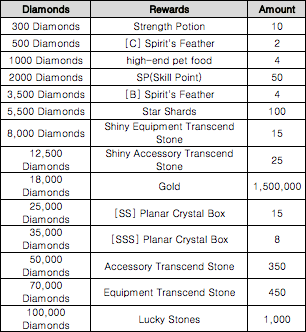 ※ Transcend Stone is not included in the event. 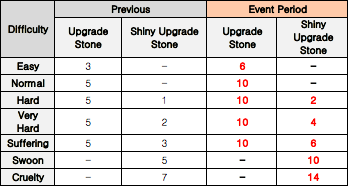 - Upgrade Stone drops will increase only during the event period. - Transcend Stone is not included in the event. The same quantity will be acquired as before. - Once the event ends, the Upgrade Stone drops will be reverted to its original state. [Event.2] Recharge and receive rewards! 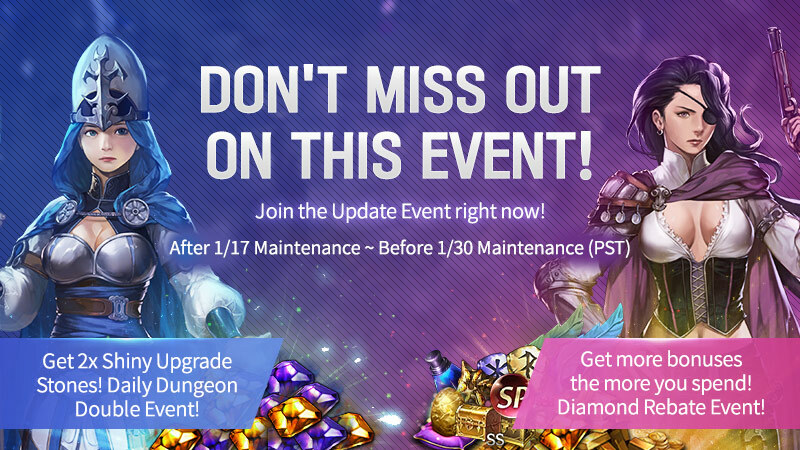 Diamond Recharge Bonus Event! Last edited by CM_Arcain; 01-17-2019 at 07:26 PM.